Food allergies have become more prevalent in recent years. According to FARE — a nonprofit dedicated to improving the quality of life for those with food allergies — researchers estimate that up to 15 million Americans have food allergies, including 5.9 million children that are under the age of 18. And while it is widely believed peanuts are the most common allergen, a new study revealed that may not be the case. In fact, according to the study, presented at the American College of Allergy, Asthma & Immunology’s annual scientific meeting, milk may be the most common food-related allergy for children under 5. The study sampled nearly 52,000 U.S. households, including over 38,000 families. What researchers found was that nearly 2 percent of the children surveyed reported symptoms consistent with IgE milk allergy, and most were infants or young children. “We observed that while an estimated 53 percent of food-allergic infants under age one have a milk allergy, the number drops to 41 percent of one to two-year-olds, 34 percent of 3-5-year-olds and 15 percent of 11-17-year olds,” Christopher Warren, a Ph.D. candidate at the University of Southern California School of Medicine and study coauthor, said in a statement. The good news is most children will outgrow it. “Our findings suggest that while milk allergy is relatively common during infancy, many children are likely to outgrow their milk allergies,” Warren said. 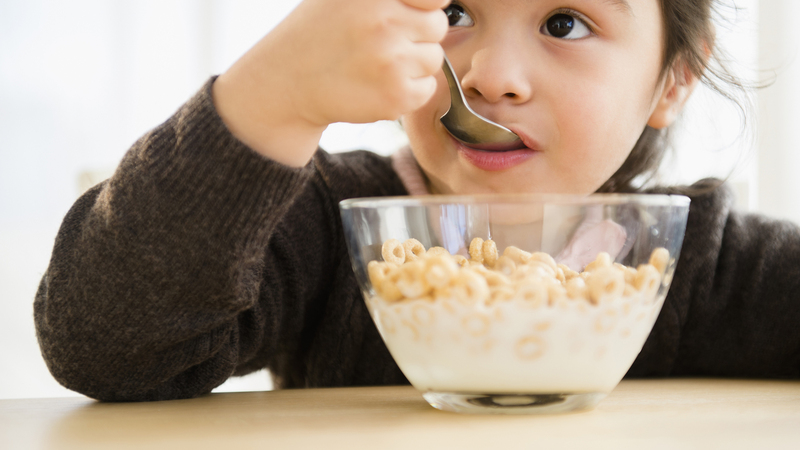 However, since many children in the U.S. spend their early years drinking milk, it’s important to know many of them — at least in the first few years — may be allergic, especially since milk allergies can be life threatening. That said, it is important to note that milk allergies differ from lactose intolerance and/or other milk sensitivities, as the former can cause hives, throat tightening and trouble breathing, while the latter usually causes gas, bloating and abdominal discomfort, the study noted. However, whether your child has an allergy or not, this new information is something all parents should be mindful of.